You can check the progress and confirm the backup completed. Go to Settings > [your name] > iCloud > iCloud Backup. 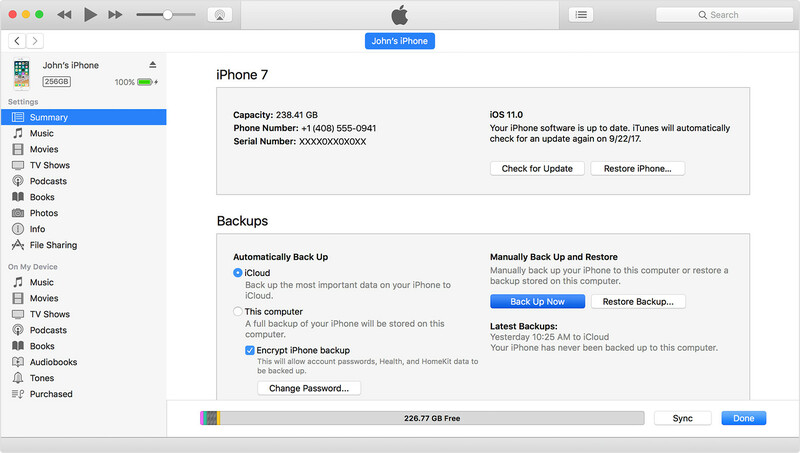 Under Back Up Now, you’ll see the date and time of your last backup. 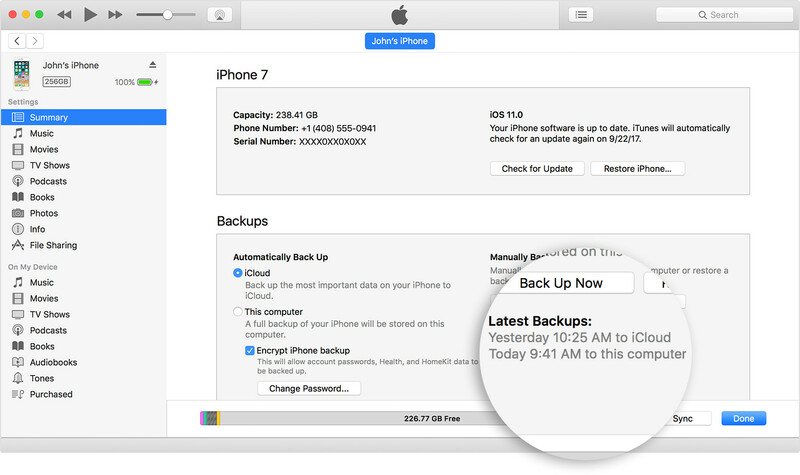 If you want to save Health and Activity data from your iOS device or Apple Watch, you need to encrypt your backup: Select the box called Encrypt [device] backup and create a memorable password. If you don’t need to save your Health and Activity data, you can make a backup that isn’t encrypted. Just click Back Up Now.Write down your password and store it somewhere safe, because there’s no way to recover your iTunes backups without this password.